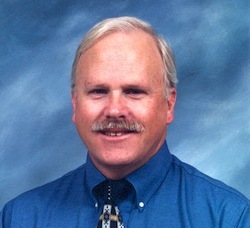 Jim Brown has been an ATOS member since 1974 and has played theatre organs at Arden Pizza & Pipes and Big Top Pizza. He is also the organist at First Presbyterian Church in Roseville. Sacred music, show tunes, and light classics are featured at Jim's concerts. Bert Kuntz is a very popular Sacramento theatre organist and he always thrills the audience with his "big band" arrangements. He is a member of the American Theatre Organ Society and a former staff organist at Arden Pizza & Pipes. 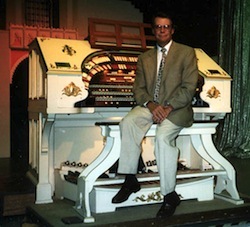 Warren Lubich is a well known Bay Area theatre organist who performs each week at the Grand Lake Theatre in Oakland and the Castro Theatre in San Francisco. He began his musical training with classical piano lessons at age seven. Later his interests turned to popular music and the theatre pipe organ. He has made several concert tours of the United States and Europe and has four record albums to his credit. Warren is also a vintage car collector, and he usually drives a completely restored Packard right into the Towe Ford Museum prior to his concert. 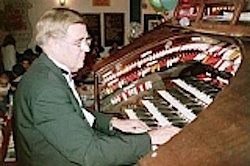 Dave Sauer is staff organist at the Towe Ford Museum and host for the Sunday theatre organ concerts. 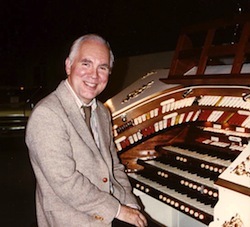 He has been a member of the American Theatre Organ Society for over 35 years. Dave loves to play golden oldies, and his concerts always include several pop tunes from the '20s, '30s and '40s.